The University of Washington Department of Orthopaedics and Sports Medicine offers a broad-based residency program covering the full range of orthopaedics and sports medicine. Eight residents for each of five years have the opportunity to work with over sixty full-time faculty in this busy clinical and academic department. 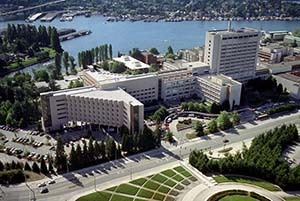 Our residency experience is entirely in Seattle, utilizing the first-rate facilities at Harborview Medical Center, University of Washington Medical Center, Seattle Children's Hospital, the Veteran's Affairs Puget Sound Health Care System the University of Washington Sports Medicine Center and Northwest Hospital and Medical Center. The U.S. News and World Report consistently designate the orthopaedic services at both Harborview Medical Center and the University of Washington Medical Center as two of the best Orthopaedic Services in the western half of the country. The clinical components of our residency are firmly rooted in medical centers dedicated to teaching in the context of excellence in patient care. 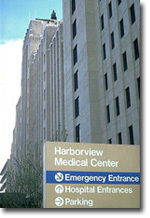 Harborview Medical Center is the region’s premier level one trauma center. It is also the site of the region’s premier foot and ankle program and the UW Medicine's Sports and Spine Center. The University of Washington Medical Center with the Roosevelt Bone and Joint Surgery Center is the region’s center of academic reconstructive orthopaedic surgery of the upper and lower extremities. The Veteran’s Affairs Puget Sound Health Care System is the center of major joint reconstruction, spine surgery, hand surgery and tumor surgery for veterans across the region. Seattle Children’s Hospital is the site of one of the leading pediatric orthopaedic programs on the west coast. The Seattle Cancer Care Alliance is the home of one of the largest sarcoma programs in the country. Northwest Hospital and Medical Center provides an expanding and comprehensive exposure to community orthopaedic practice and patients. This foundation allows our program to enjoy substantial growth. The UW Sports Medicine Center, situated within the athletic training complex underneath Husky Stadium, provides state-of-the-art care to UW's 700 varsity student-athletes and is the preeminent referral center for the University and greater-Seattle community as the only academic sports medicine program in the northwest. Each of these centers provides a unique, balanced, comprehensive, and high-quality educational experience and exposes all residents that train here to the entire depth and breadth of orthopaedic patients and problems.